Are you launching your first influencer marketing campaign? Here are some tips to help you get the most out of it. Influencer marketing is good at amplifying. Unfortunately, it’s not a magic trick that will turn your poorly-performing product into a top-performing one. So it is usually safe to pick a product/app /service that already sells well. In this case, make sure to have enough inventory because sales could go through the roof pretty quickly if you meet the right audience. If you’re launching a new product, influencer marketing will enable you to test the waters by putting your product in front of thousands of eyeballs at once, so it’s still worth trying. What does success look like? You need to define quantitatively what you want to achieve. It can be a number of likes, comments, impressions, sales, gained followers or visitors to your website, depending on your objective (brand awareness, increase your mailing list size, sales …). “We’ll go viral” is not a good objective: it’s hard to achieve on your first try and it is a qualitative objective. A better objective could be: “I’ll engage 5 to 10 influencers to get 5,000 coupon downloads within 30 days”. From there, you need to track the metrics that define success. Unfortunately, sometimes there is no straight line between a mention and a sale (someone might have seen a post about you and come to your site via Google to buy something days later). It’s very important to setup tracking so you can know the real impact of the campaign (use URL shorteners, generate coupons, set up Google Analytics …). Are people clicking on the influencer’s link? Are they doing something on my website or leaving within seconds? Tracking all this will help you know where the problem is and adjust for the next campaign. Of course, you should pick an influencer whose audience is your target. If you sell lipstick, you should probably hire a makeup influencer who is followed by women who love beauty products. But more importantly, you should be careful with the quality of the influencer’s followers. It comes down to checking whether they seem to be engaged or not. How many comments? Likes? Views? The more the better, as long as the engagement seems legit: you can buy fake followers, fake likes, and fake comments. Be cautious, and don’t get tricked by Fake Followers. Influencer marketing is all about creating personal and authentic content that will resonate with the influencer’s audience. Do you think this picture will perform well on Instagram? Probably not. It’s a generic, impersonal picture you could probably use in traditional display ads. The photo or video should not look too scripted or forced. Be clear about what you want to achieve and give some light guidelines, but let the influencer be creative and have freedom. He’ll probably come up with great ideas but more importantly, the content will sound genuine and authentic which is what word-of-mouth marketing is all about. People will know it’s an ad anyway: guidelines from the FTC (Federal Trade Commission) state that the influencer must disclose this information. But it won’t be a deal breaker as long as the viewer can find what he subscribed to in the first place: the influencer’s touch. Influencers are putting time and effort into the content they’re creating to promote your product. You need to compensate them fairly with cash (we enable you to do this on our website) and maybe with a product giveaway (but it’s only enough if its monetary value is equal or greater than the work’s value). This compensation is independent of the results of the campaign as nobody has any control over this. Cash compensations can range from $25 to $10,000 per post. Don’t expect influencers to react positively if you suggest a compensation solely based on the generated sales. Creating (good) content takes time: sending your sample product, agreeing on what should be created, shooting, editing … It could take a few weeks before the content is ready, so if you’re aiming a particular date (Christmas, a launch day …), be prepared. Also, this article supposes that you are the one handling the influencer campaign (as our website is a self-service platform). You could delegate all this work to an agency who will find the influencers for you, think about the content, pay the influencers … But it will be a lot more expensive. Prices can range from $5,000 to $100,000 per campaign. 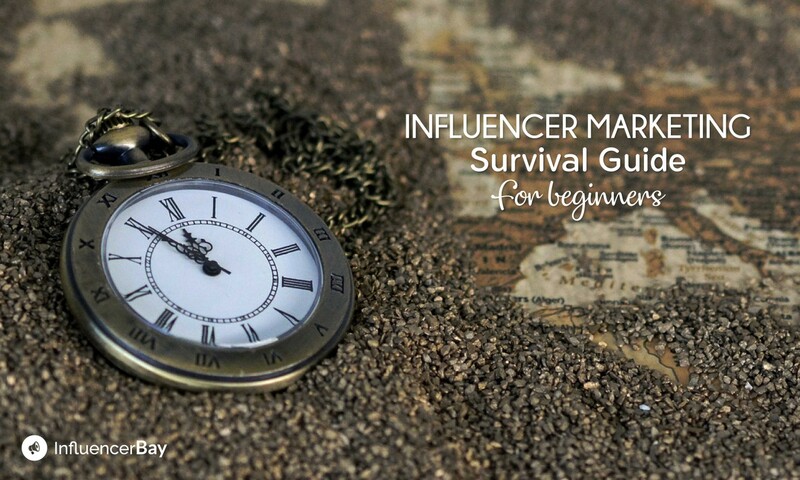 Choosing a relevant influencer is one thing, choosing a reliable one is another. While the payment of your influencer can be done safely via an escrow system, sending products is a riskier move. You don’t want your influencer to disappear after you’ve sent products for free. So how do you avoid that? First of all, check the influencer’s work history. Ask them about it, look for sponsored posts on their Instagram. A seasoned influencer is more likely to behave professionally. If your influencer is doing a sponsored post for the first time and you don’t want to take any risk, you can negotiate to have him buy the products from your website and you’ll add the products’ value to the financial compensation that will be released once the post is done (so your products are virtually free). This is obviously harder to do for high-priced products (since the influencer has to advance money). Influencer marketing is more art than science. There is no magic recipe and each campaign is different. However, each campaign will give you more experience and as time goes by you’ll be more and more efficient. It’s hard to get it right on the first try, but hopefully, after reading this article you know enough to avoid basic mistakes! Want to start your first influencer marketing campaign now? Learn more here. 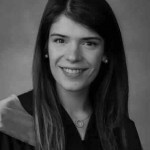 With an MBA and extensive background in Marketing, Lucie is passionate about new media and digital communication.